I am a member of a local photography club and for the third year running we have come together and put on an exhibition as part of the annual NEOS extravaganza. We had a preview evening and that night I stood, for a long time, in front of some pictures that oozed feeling and soul. They were by fellow club member and Flickr contact Lucy Telford. 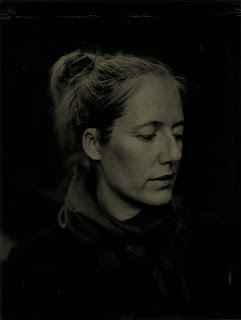 Some of the pictures were taken without a camera, some with modified shoe boxes, Diana cameras, old film cameras and, her current love, wet plate collodion. 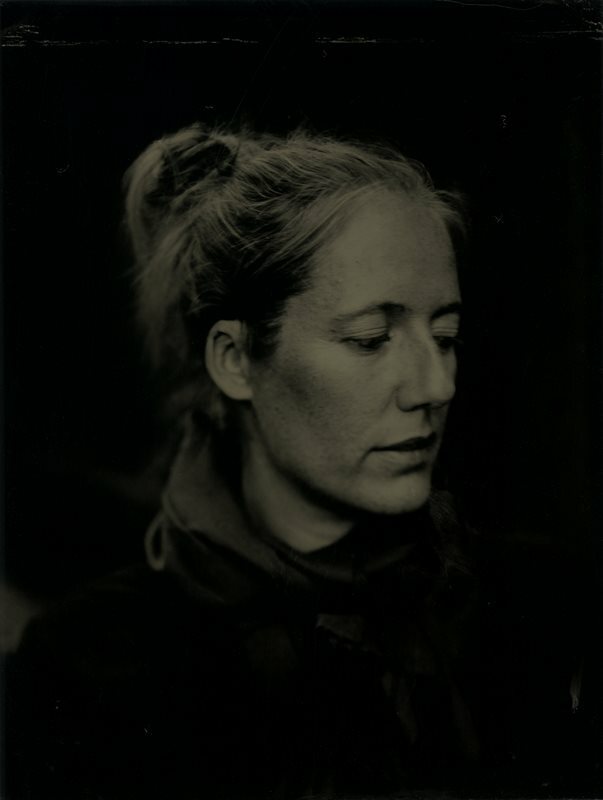 Lucy recently went on a wet plate collodion course with Carl Radford where she was, not only in expert hands, but she met some great photographers, such as Alex Boyd and Deborah Parkin. Lucy shared her knowledge and showed us the equipment she uses in a talk to the club last night and it was both interesting and informative without being boring or over her heads. I recently asked Lucy if she would kindly answer some question I wanted to ask her and I'm delighted to share this Q&A we did. Enjoy and check out her work. Thanks Lucy. (JDD) Wet Plate Collodion – why are you so interested in this? •	Do you want to make your images more challenging? •	I presume here you mean the end result? Yes, maybe. In a way. But no more than I want to make any of my pictures challenging. I am not very interested in images where what-you-see-is-what-you-get. I prefer there to be an ambiguity. I would hope that people might emotionally engage with my pictures and begin to interact and interpret. •	Will using wet plate produce better results and/or more personal results? •	I am hoping that the more I do it and the more competent I become, that it will be a process which I use frequently. I believe that it is a technique which suits my way of seeing. More personal? Yes, maybe. The process is slow (compared to digital) and so invites ideas of constructing photographs which is something I am thinking of for the next year. •	Old Cameras – why the fascination? •	Well, for a number of reasons. I actually think that old cameras are quite beautiful in themselves. I like old stuff :-) I am not mechanically minded, unfortunately, but there is a delight in the (relative) simplicity of these cameras. They are made to be mended. I also like the results I get from them! •	Why make photography less instant? •	Because I find that I work too quickly and don't engage my brain so much when I use a digital camera. I prefer to slow down and think and I can do that more easily with a film camera which only gives me 36 or 12 exposures. Nowadays, so much of life is fast-paced and instant and I'm not sure that's a good thing. •	Is this not just being trendy? Is it a fad? •	When I see your images made without a camera, it seems to me that you want to create images that may be in your head so you may even move onto other 'tools'/mediums? 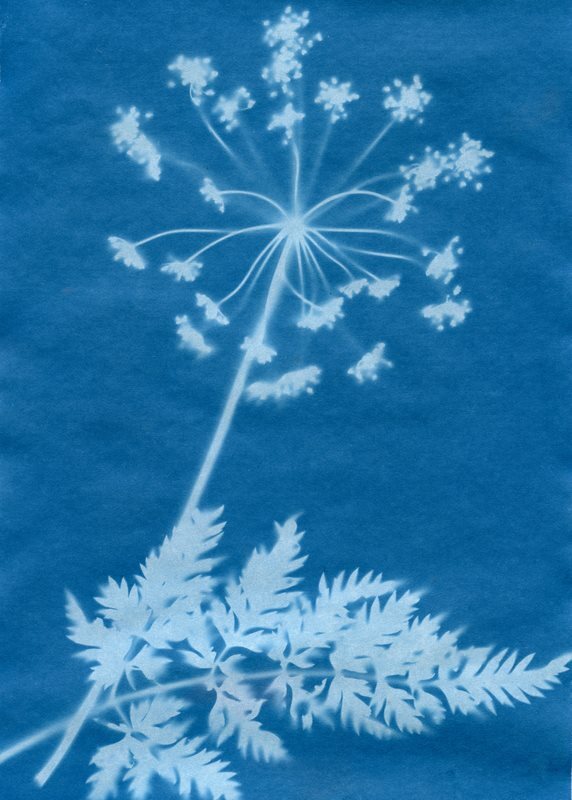 •	Photograms have been used for a long time now and I wanted to have a play around with the medium. There is no rule which says that a camera has to be used to make a photograph. •	Are all of the above more the a scientist in you coming out? •	Err...no! Although I have been surprised at finding how interesting old lenses etc are to me. •	Are you more interested in the mechanics of photography than creating art that expresses you and your feelings? •	No, definitely not. The mechanics of photography don't interest me much. I am not entirely sure why the things happen as they do...I just accept it! For me it is all about making images which express a mood / emotion. •	What is your background? School successes/university/occupation – does it matter do you think? •	I was only ever any good at arts/humanities subjects at school. Science and maths were beyond me although I am now beginning to appreciate them. I read English at Uni with philosophy which I absolutely loved. Being able to spend 3 years reading books, dyeing my hair and going to the pub – what's not to like ;-) As far as occupations go, well – I have had boring office jobs like most people. I worked in sales for a publishing company before moving to Germany for a while and then, eventually, when we moved up here I became a recruitment consultant in Aberdeen. I think that my love of literature does have an influence on my photography, I will often think of a quote or a book and that will sometimes spark off an idea. I think, inevitably, our backgrounds and interests have an effect on the work we produce. I like being outside and so consequently I tend to take a lot of photographs of the natural world, nature moves me more than buildings do and that is reflected in what I choose to photograph. •	Who or What have influenced your Photography? •	Other photographers. Until I got going with a camera seriously a couple of years ago I didn't really know any photographers apart from the really famous ones but I set out to immerse myself in the work of others to see what can be achieved. I am constantly discovering new (to me) photographers and that's really exciting. 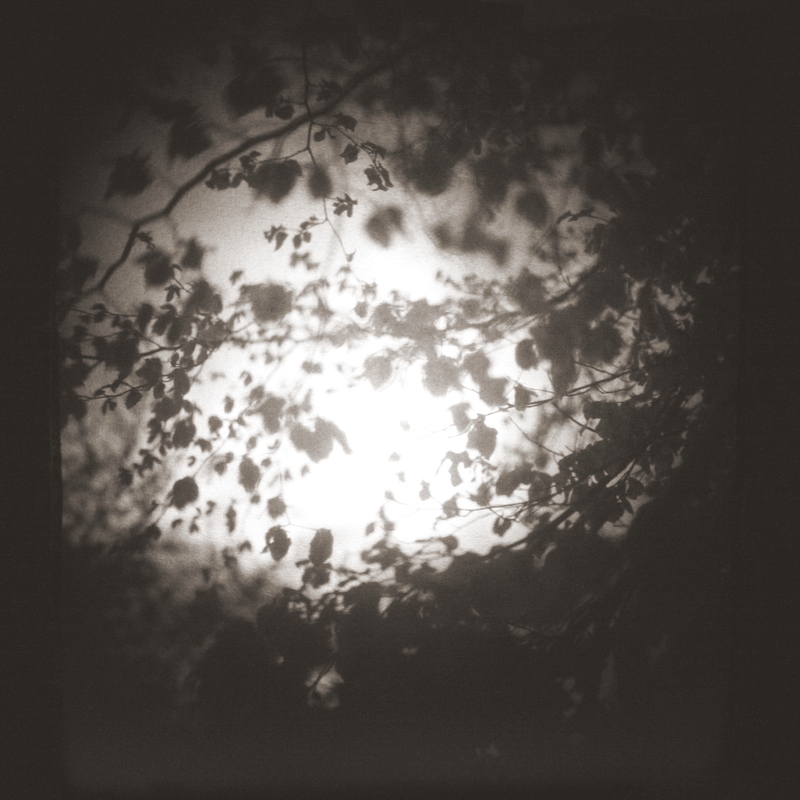 There are many photographers I admire but the ones who have had some influence on what I do are probably Sally Mann, Susan Burnstine, Josef Sudek and some of the Pictorialist photographers. •	Do you have any thoughts on the future of photography? •	Does your work have any commercial potential? •	Lol...not sure about this one! Maybe. I think the wet plate stuff could be a goer as far as portraits go. There can be nothing more unique. Some people might go for a lomo wedding shoot but it would be stressful shooting a wedding with simple film cameras – not being able to see what you've got until it is too late! I can see the potential for doing large format or wet plate portrait work. •	What are your feelings regarding digital and video? •	I think that photography is about choosing the right tool for the right job. I would use a digital camera to shoot a wedding, no question. I can, in fact, use a digital camera – I know it is hard to believe ;-) I like using my homemade lensbaby lens on a digital camera too. Video is a closed book to me. Other than videoing my kids learning to crawl and walk etc I haven't done any so can't really comment. •	Is there a photograph you wish you had taken? •	That's a difficult one. Probably one of Sally Mann's photographs from her “Immediate Family” book. I can hear Lucy's voice throughout and could "listen" to her all day. What a great idea to interview photographers, a fascinating project. Thanks Suzie. I feel the same. So you up next for an interview? This is an excellent interview James - I really loved the format, and feel you gave Lucy the chance to really explain what her work is about. Also some questions which differ from the usual! So pleased you liked it. Lucy was a great sport agreeing to answer my questions. I have some questions in my mind for you sometime if you're up for it? Thanks very much for giving me the opportunity James. And thank you to those who have read it. Looking forward to reading Alex's Q&A session when it's posted.